Velly Joonas – Stopp, Seisku Aeg! 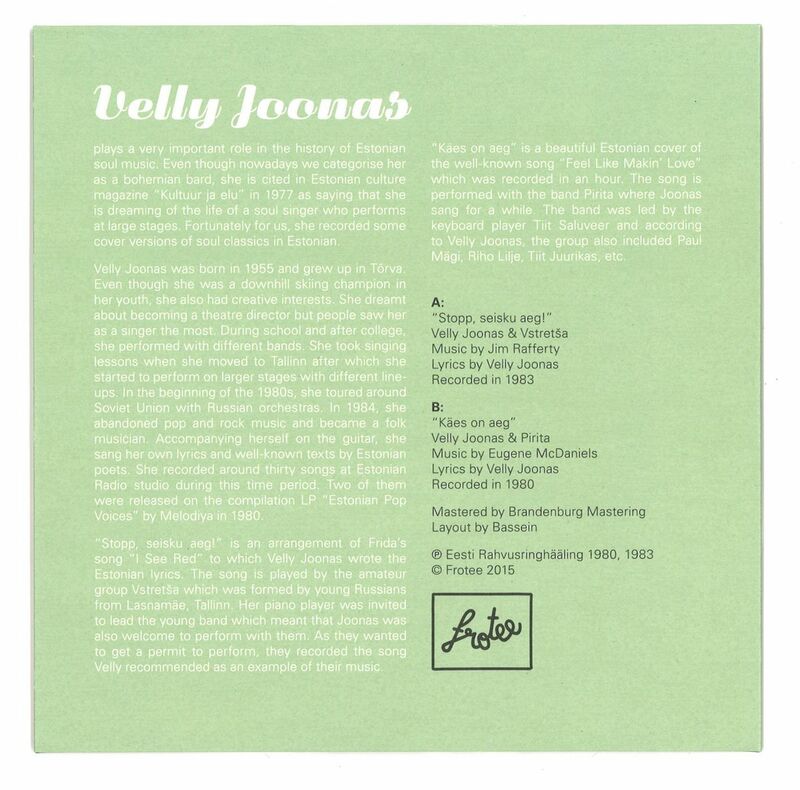 Velly Joonas is a mysterious singer, who once wanted to become a soul singer, but later choose folk music instead. Frotee has released two recordings of cover versions from Estonian Radio archives, both tracks have Estonian lyrics written by herself. In 1983, she recorded an incredible version of «I See Red». Few years earlier she recorded lovely version of classic «Feel Like Makin’ Love». Both previously unreleased, now available on 7″ single!